For every adventure, a starting point. Men don’t have many options when it comes to accessorizing their workplace outfits. Jewelry is typically limited to a watch and perhaps a wedding band. Sure, you could stuff a pocket square in your suit jacket. Bracelets, lapel pins, and cuff links are also good options for personalizing a look, but a neck tie is going to be the most impactful addition you can make. They can be rather pricey, though, so we recommend planning your purchases well ahead of time and always with the rest of your wardrobe in mind. A reader recently asked if he could “survive” with only a small collection of ties – fewer than 10, he wondered. In menswear, the mantra is not to buy more, but buy better and smarter. With that in mind, we’ve created a short shopping list of varied and versatile ties. These are sure to get you through any occasion where a tie should be worn. The office, your cousin’s wedding, a swanky nightclub – we’ve got you covered. 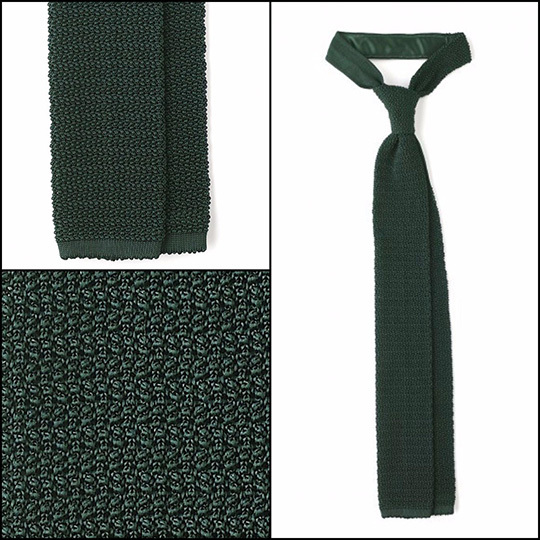 Grenadine ties are made from silk and specially woven for a subtle bit of texture and visual depth. Though grenadines can be had featuring patterns, it’s generally recommended you stick to solid colors for this type of tie. If a grenadine in navy was the only tie you owned, you realistically could get by with just that one tie. It’s that versatile. If you’re just starting out, or revamping an existing collection, we recommend this as your first purchase. You might know this pattern by its other name, Glen Plaid. 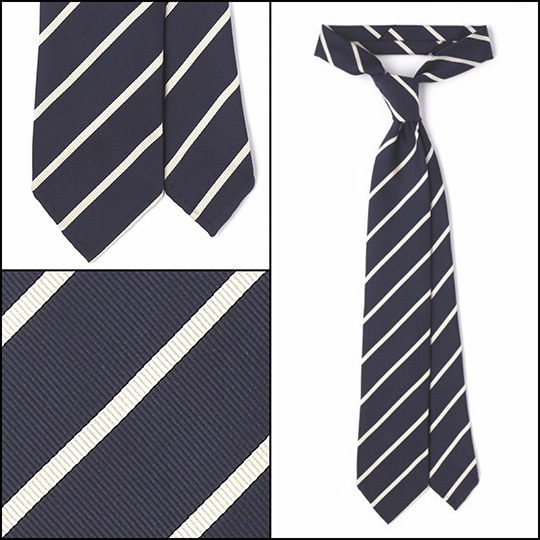 Whichever you call it, this is another tie that’ll serve you well. 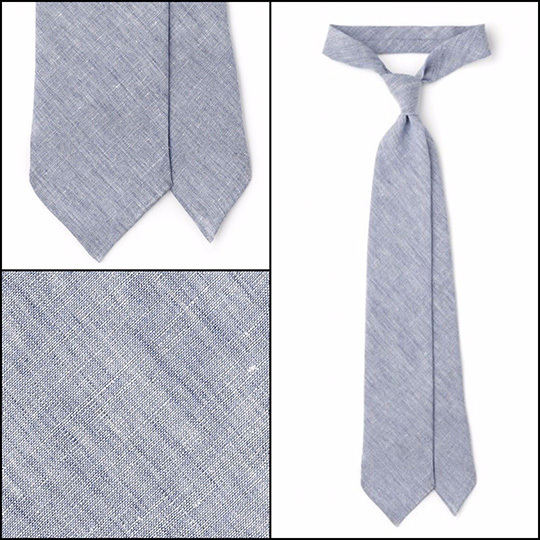 To maximize potential, we suggest one made from silk or wool in a lighter shade of gray. The Prince of Wales pattern (recognized by its plaided houndstooth design) is typically worn at more formal occasions. It’s commonly found on groomsmen at weddings, but it’s certainly not limited to ceremonial events. 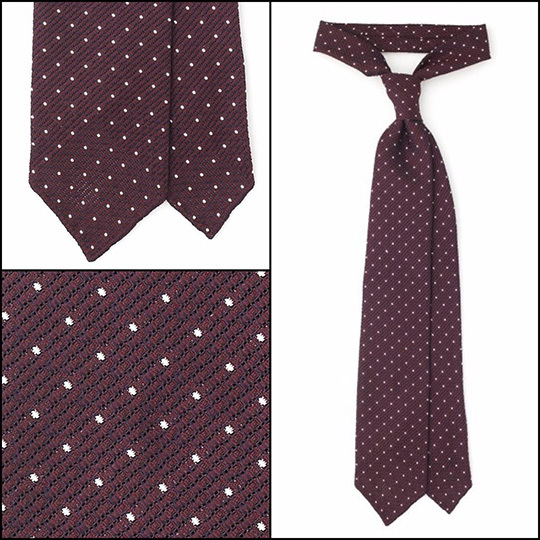 The dot pattern tie is, admittedly, very simple but also a staple. These are absolutely appropriate at professional job interviews or when suited up for work. Buying one in burgundy is a safe play as it’ll look great under a navy, gray, blue, or khaki suit. It’s also one of the few colors that can pair well with black. When choosing a dot tie, be mindful of their size. Pin dots (small) lean formal whereas polka dots (large) are more casual. We’d advise something in between. Though this type of tie is rooted in prep style, geometric designs are perfectly fine to wear to the office. You may have heard these referred to as “Ancient Madder” ties. This refers to a specific dyeing process used on the silks that make for richer and more vibrant colors. They’re harder to come by and, as you might imagine, will lighten your wallet a little more. Madders are quite impressive looking, but are they worth the extra cash? That’s entirely up to you. 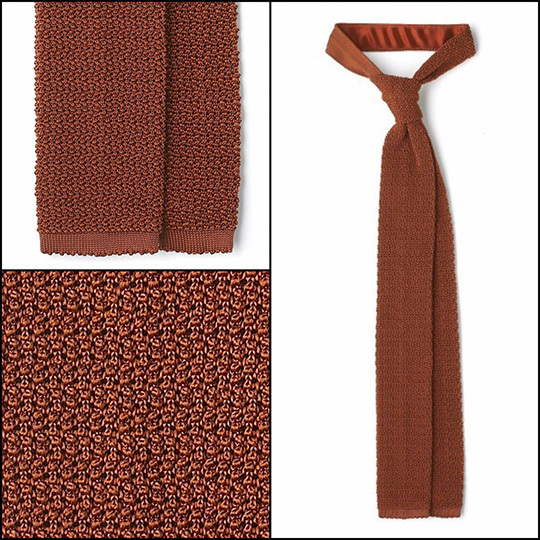 You might be surprised by how useful a burnt orange tie can be. The same can be said for a darker shade of green. You might also be surprised to learn how versatile knit ties are. This ‘casual cool’ type can be worn just as easily with suits as it can with jeans and a sportcoat. Though these square-ended ties can be made from a handful of different materials, we recommend silk for its wonderful texture and four-season weight. This material, also known as “tussah”, is a bit heavier and more textured than treated silk. Raw silk resembles linen somewhat and has an obvious “slubby” look. Though raw silk can be worn year round, it’s perhaps most associated with the warmer months. Brown ties are seriously underrated and will look fantastic under a light gray, beige, cobalt blue, or navy jacket. 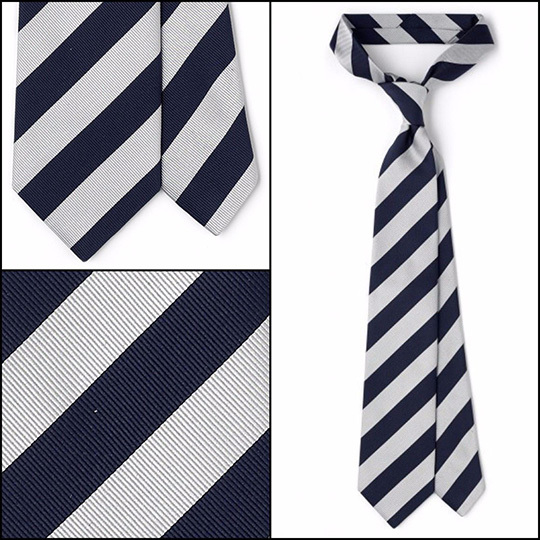 Bar and Repp stripe ties are incredibly popular – we’re betting you own a couple already. Much like geometric design ties, these also have their origin in prep style and are fine companions for business suits. With the pattern being so bold, we suggest you opt for an understated colorway. We’ve elected for an old standby – navy and gray. Black ties don’t get a whole lot of play because, truth be told, they’re not needed all too often. That said, you should still have one handy. A black grenadine is a good thing to have when paying respects at a funeral or attending a posh dinner party. Know that you have a choice of two weaves when it comes to grenadines; there’s the garza fina weave (fine) and the garza grossa weave (wide). The finer the weave, the more formal in appearance. For black grenadines, go with garza fina. Want more? Once you’ve earned yourself a well-manicured tie collection, you can start branching out to more niche designs and season-specific materials. Perhaps the best known tartan plaid is Blackwatch. Even if you didn’t know it by name, you recognized it right away. 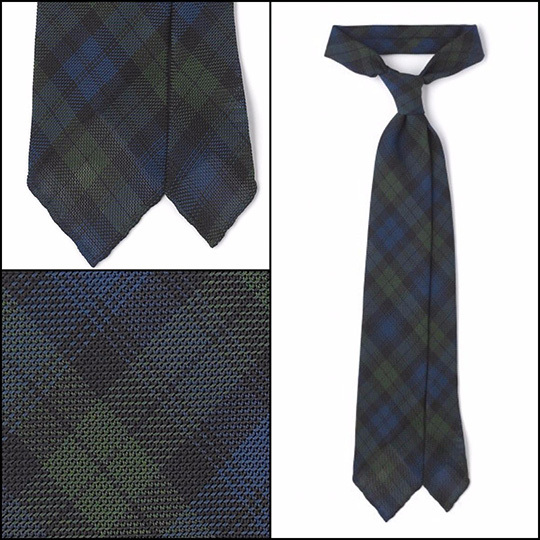 Characterized by its black, blue, green (and sometimes purple) color scheme, it’s great with a flannel wool suit. One look and you know it’s linen. Something like this in salmon, pale yellow, mint green, or sky blue would look mighty handsome at an outdoor wedding this summer. Picture this with a brown linen suit, a gin and tonic, and an admiring bridesmaid on your arm. Nice. Bryan Faucher lives, works, and plays in Miami, FL. He also owns and operates Ropes & Knots; a high-quality children's clothing company whose garments are composed entirely of 100% natural materials. Follow him on Instagram for outfit layouts, menswear advice, and daily inspiration. Great post! I just bought my first two nice, fitted suits and the shirt/tie combination has been killing me. Some of these have the color of the suit but others don’t. Can you give a guy who is matching illiterate a hand on what shirt/suit color to wear with these? Nice post – good suggestions on moving away from all the blue ties I have in my closet. 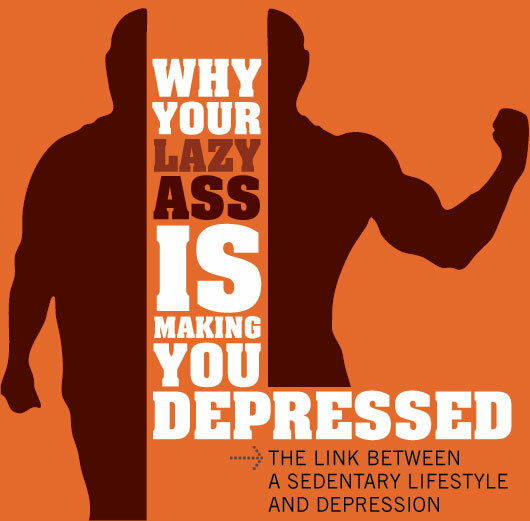 One question – where is the jacket from the cover page from? I dig it. Great post! I couldn’t agree more with these styles! Thanks for your marvelous posting! I certainly enjoyed reading it, you are a great author.I will be sure to bookmark your blog and will often come back later in life. I want to encourage one to continue your great job,you should write about women style, have a nice morning! This is an excellent post! Have been monitoring several sites for a post like this. Thank you so much. Could you please suggest a tie among these that is good for interview purpose and goes well with a plain white shirt and black pants.Its really urgent.if you could suggest then it would be of great help. Our most important article ever – with insight from a 9/11 survivor, fire battalion chief, and crisis psychologist.